Fond of popping supplements? Research has shown that people who do so develop negative behavioral patterns. Science Daily highlighted a study done by Chiou Wen-Bin of National Sun Yat Sen University, Taiwan, after he noticed a colleague choose an unhealthy meal over an organic meal simply because the colleague had taken a multivitamin earlier that day. Chiou conducted an experiment with Yang Chao Chin of National Kaoshiung University of Hospitality and Tourism, and Wan Chin Sheng of Southern Taiwan University, to see if frequent use of dietary supplements lead to certain negative health-related behaviours. Chiou said that "after reviewing the literature of the prevalence of dietary supplement use, it seemed that use of dietary supplements is increasing but it does not correlate with improved public health." Chiou and his colleagues used 2 test groups - all were given placebo but one group was told that they were taking a multivitamin. The results from the experiments and survey demonstrated that participants who believed that they were taking dietary supplements felt they were protected against health hazards and expressed less desire to exercise and make healthier diet choices. They were less inclined to walk and had more desire to engage in hedonic activities. 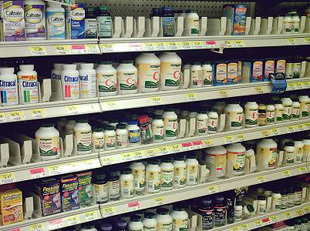 Chiou concluded that people who take dietary supplements many have the misconception that they are not vulnerable to health problems and may make less healthy choices when it comes to their health.